Kane Miller is a qualified chartered accountant and member of the senior leadership team in Melbourne. One of his key responsibilities is leading our education seminar program in Melbourne. As a self managed super fund (SMSF) specialist with over a decade’s accounting experience, Kane draws on his expertise to assist clients and mentor staff. “The best thing about working for a progressive firm like Dixon Advisory is that no two days are the same,” said Kane. 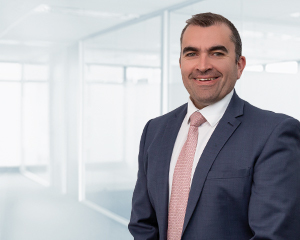 Before joining Dixon Advisory in April 2008, Kane worked as a senior accountant with prominent accounting firms, where he advised clients on a range of superannuation and personal taxation matters. Kane has a Bachelor of Commerce (Accounting and Finance) from Monash University and has been a qualified Chartered Accountant since 2005.